Ean Meyer has been a professional tennis coach since 1987. Over the last thirty years, he has worked with every level of player from beginner to professional. Ean joined the Nick Bollettieri Tennis Academy (NBTA) in 1989. He was there when players like Seles, Agassi, Mary Pierce and Tommy Haas were developing their games at the academy. After leaving NBTA, Ean went on to work for former world #1 in doublesRob Seguso,18 time Grand Slam champion Chris Evert, and former # 5 ATP player, Harold Solomon. 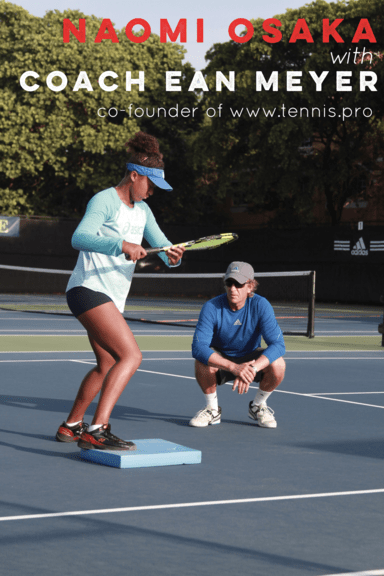 During his coaching career, Ean has traveled with numerous ITF level juniors and WTA professionals.Ean’s experiences on the road helped him form his coaching philosophy. Seeing international level players from around the world train and play, he started to realize the importance of “training smart” vs “training hard”. Most players work very hard. Few work smart. Smart players train with a plan. They develop very strong technical and tactical fundamentals from a young age and build a style of play that compliments their physical and mental ability. Teaching great technical and tactical “Fundamentals” is an integral part of Ean’s philosophy. He is also a firm believer in footwork and court coverage. In a match between two equal players, the ability to anticipate and cover the court will give one player the edge needed to win the match. This holds true at all levels. To help his players find that edge Ean studies the best movers in the world and has also been fortunate to work with some of the best movement coaches around. Ean loves tennis and coaching gives him great satisfaction. Whether he’s coaching a pro working to improve their ranking from 289 to top 50, adults trying to move up from 3.0 to 4.0 within a few months, or an advanced beginner looking to win their first local tournament, he enjoys it all.